Luke Shaw is keen to fight for his future at Manchester United and Jose Mourinho is happy with him, according to his agent. The Independent had previously reported on Wednesday that the 21-year-old Shaw is “almost certain” to leave the club in January, while further claiming that United manager, Jose Mourinho, was disappointed with the left-back’s lack of development. “I am angry with these reports suggesting Luke Shaw will leave Manchester United in the summer. I am angry at the irresponsible journalism. 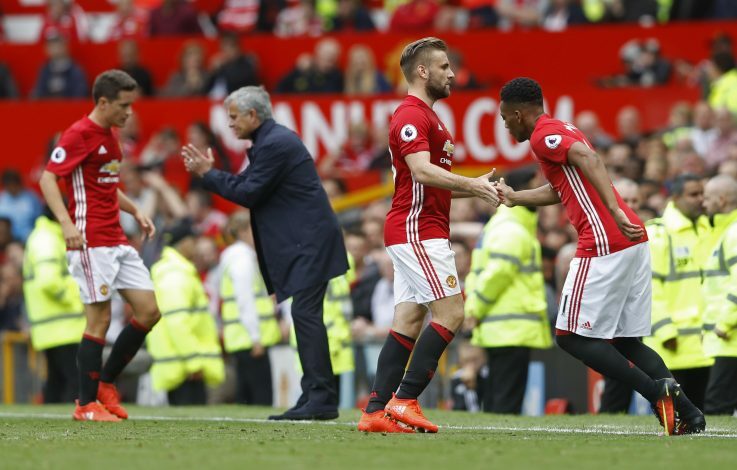 We all know Mourinho publicly slammed Shaw for his role in conceding a goal during the shocking 3-1 defeat at Watford on September 18. The manager also stated that the England international had made himself unavailable when United were about to face Swansea on November 6 and then criticised players who were not ready to push themselves physically. “He needs to improve. That is normal, because he is a kid. “I am not expecting a young player to be perfect. A young player makes mistakes, a young players has things to learn, has things to develop. He needs to do that. The 21-year-old Englishman, who is once again available for selection, has missed Manchester United’s last 11 fixtures, having not played since the EFL Cup victory against West Ham on November 30. He has only made 13 appearances across all competitions this season, with Mourinho using Matteo Darmian and Daley Blind at left-back recently.